The lack of goals is the latest in a string of troubles for the gifted striker recently. In the summer he failed to get his move to Manchester City. A £60m offer was there on the table on transfer deadline day but the Gunners were unable to get a suitable replacement which forced Sanchez to stay. With Arsenal still struggling to make an impact this season, it might well be worth using the paf bonuskoodi to get better odds on betting that Arsenal won’t make the Top 4 again this season. It was also only a fortnight that Chile surprisingly failed to qualify for next year’s World Cup in Russia so it really has been a testing last couple of months for the 28-year-old. Arsenal play Manchester City at the Etihad Stadium on Sunday and most observers say it will be a big test of Sanchez’s current state of mind. Wenger though has no such concerns. “I am not concerned because I am not suspicious of the performances or the desire to win of a football player.” Wenger said. It has been said that the Chilean is trying too hard to change his luck. Of the goal glut again Wenger remained relaxed. “He runs after a goal at the moment so he’s a bit frustrated when he doesn’t score, like all goalscorers. I’m not worried about it. He works hard and it will come back quickly. You can never try too hard. He just has not to worry too much”. 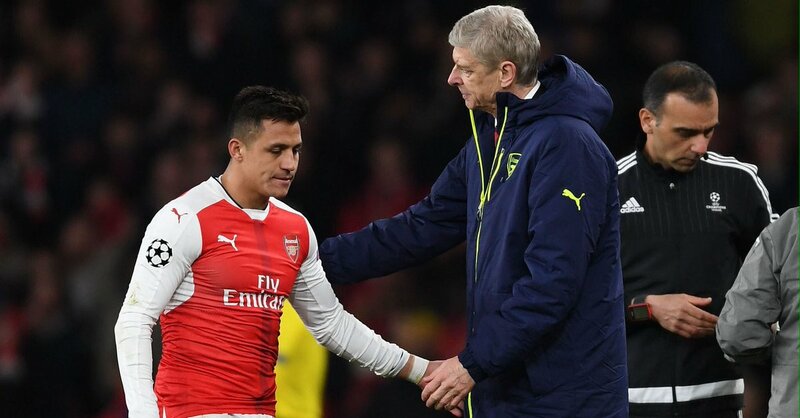 You feel with Sanchez that it will take just one great game for the form to come flooding back. It would be so ironic we’re that form to return against City on Sunday.